At Las Mirandas 112 you can truly enjoy the next vacation you have planned. 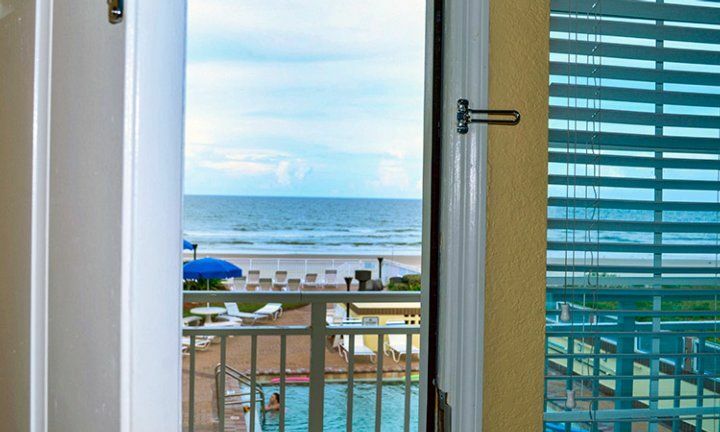 Whether you are taking a trip with the kids, you and your spouse, or a trip with a group of friends, there are a number of benefits of booking your stay here, as opposed to staying at a traditional hotel or motel chain. Please Note: 1-month minimum stay, Saturday arrival and Saturday departure in season. 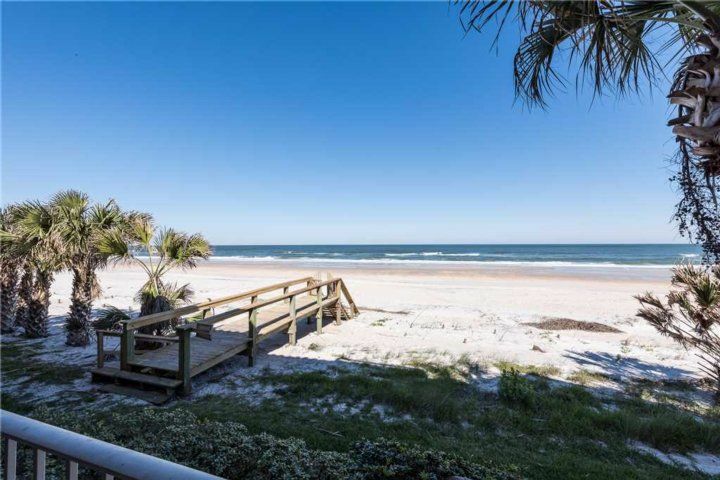 The oceanfront, Ponte Vedra Beach home is truly spectacular for those who love the sun, the surf, and love the scenic ocean views each morning when they get out of bed. 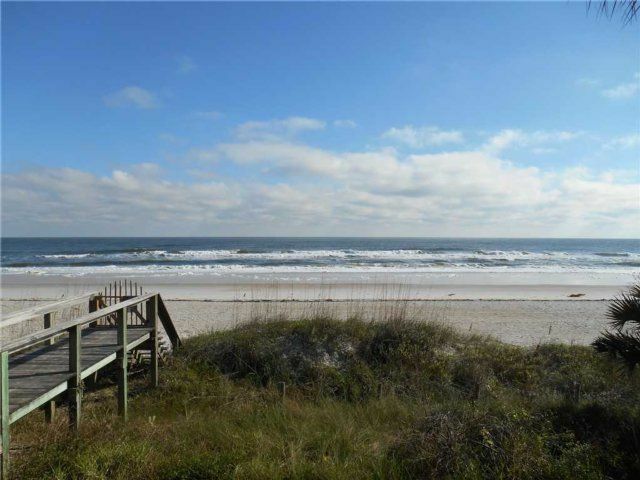 Whether you want to fall asleep to crashing ocean waves each morning, take in your cup of joe watching the waves, or want to take a dip in the beach, you are steps away from the water in this vacation rental home. It is a new property, meaning you are going to be among the first guests as well, so you don't have to worry about dated furnishings, or very old bedding and linens in the rooms you are sleeping in. Las Mirandas 112 can sleep up to six people. 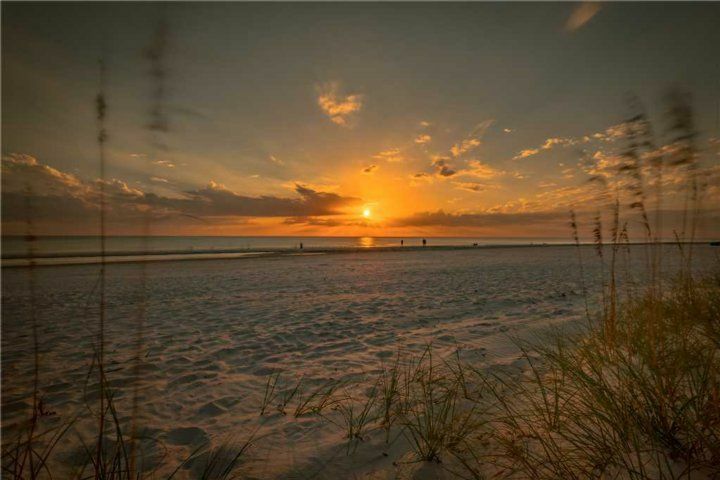 It is a three bedroom, beach front condo, with three full bathrooms as well. 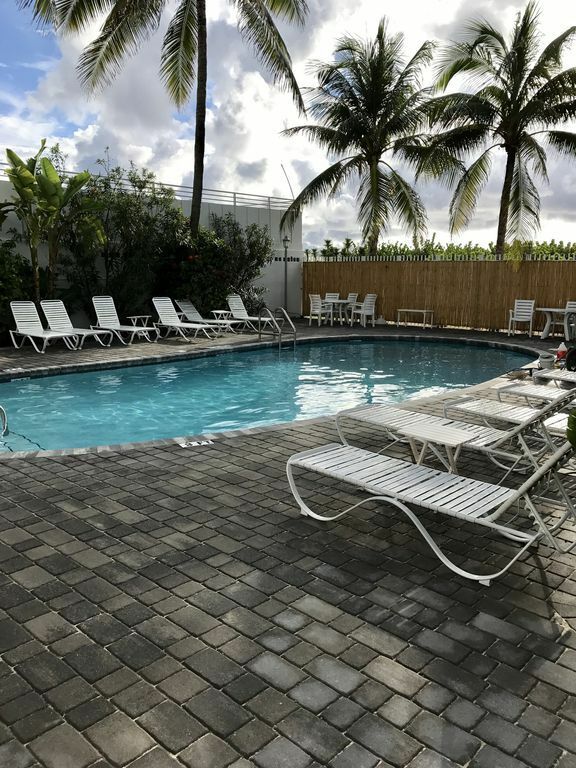 Although there is no pool, you are just steps from the ocean, so you can still take in the sun and waves and enjoy the crashing waves right outside your doorstep. The master and one guest bedroom both feature a king sized bed; the third bedroom has two queen beds, making it ideal for the kids or friends. 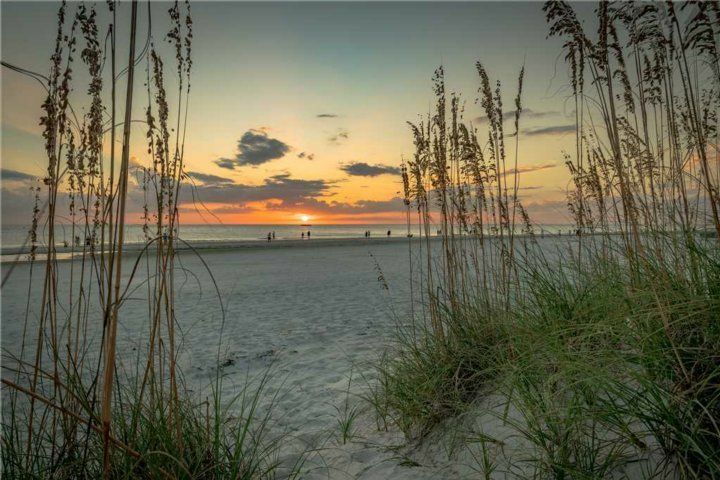 You have direct beach access from the home as well, meaning no crossing the street or other borders between you and the water. The home features granite stone and counter upgrades throughout, giving it a luxurious, elegant feel in the kitchen and bathroom spaces.The master bedroom features panoramic views, so you can take in the sunrise and set, as well as the ocean waves each day right outside your windows. Whether you plan on staying in or enjoying what the local area has to offer, you are going to be able to relax the moment you step foot into your home at the end of each day. All you have to bring with you is your suitcase. If you don't want to dine out each evening, the kitchen is fully loaded with a gas stove and grill, allowing you to enjoy family dinners, or call over the neighbors to grill some steaks at night. Cable TV and free wi-fi are also included in the home, so you can bring along your electronic devices, or enjoy a family movie night during your vacation in the large family room space. With a nearby grocery store, beaches, restaurants, golf, and local area attractions, you might never want to go back home after you book your next vacation stay at Las Mirandas 112. Whether you've been planning for a few weeks or a few years, you want to enjoy the perfect vacation which you've been saving up for. Instead of staying at a hotel, you can book at a home which truly hits on all notes. At Las Mirandas 112, you're bound to enjoy every moment of your vacation, and can do so for a far more affordable price point than you ever imagined.